~Eternal Snow~: Extended Period of Hiatus. the wind chime looks wonderful. how about more photos of it! gordon: Sadly, it's not a wind chime. Still it looks great ^^. pprrffnnn: huh? rephrase the question don't get you. anon coward: I'll try to get more photos soon ^^. Wind chime looking good! 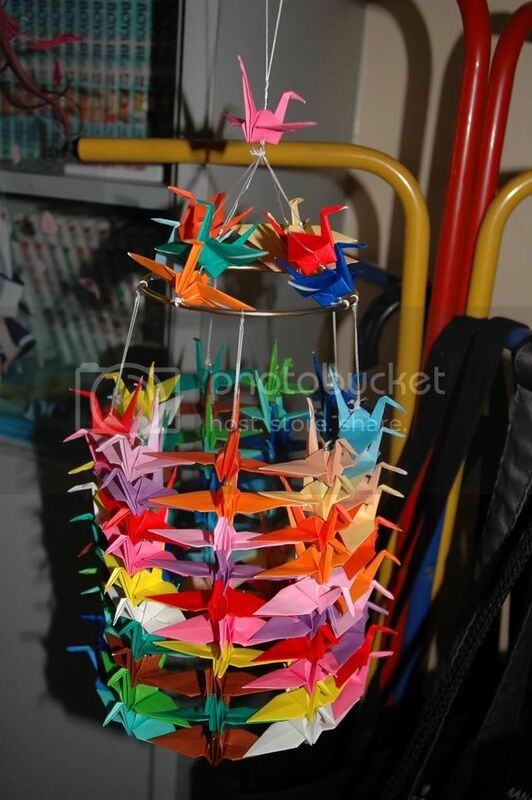 Forgive me if I missed it, but why did you make the 99 cranes? I think what pprrffnnn means is, "What about the girl you mentioned you like?" Nice to meet you.I'm VOCALOID FAMILY in Japan. I find the picture in your website,and I want to use this on myspace. I'm looking for the writer.If you are the one,would you allow me to use it? This website is to introduce Vocaloid,including Miku Hatsune, to more many people all over the world. If you are not and know who is the writer,please let me that and his e-mail adress. Oh sorry,please ignore the first URL. Hope you be back soon!!!!!!! !